“The Vacation Body Blueprint” – My Free 56 Page Report is Ready for Download! I am about a day late in releasing my free “vacation prep” report, but it wound up being 16 pages longer than expected. People have been asking me for something like this for about 2 years. I procrastinated quite a bit, but my hope is that you will find it is worth the wait. I apologize ahead of time for not answering many comments the past week. It was because I was focusing on this report and giving it my all. I will do my best to catch up on as many comments as possible next week. Craig is a guy who had been reading my site earlier this year and followed the tips on the site to get down from 172 to 155. Matt started reading around the same time and went from what he calls “slightly chubby” and dropped around 12 pounds. Both of these guys got lean, but they weren’t as lean as they were aiming for (both wanted to look cut like Cam Gigandet in “Never Back Down”). I would allow them access to my personal e-mail account where I would coach them for free. They could ask as many questions as necessary as long as they put my advice into action. 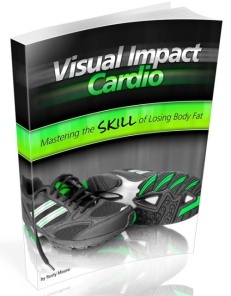 The deal was this…once I helped them get ripped, they would give me a testimonial for a “future ebook”. They achieved the results they were aiming for and kept their word…here are their testimonials! My name is Craig and I’ve been following the principles taught on Fitness Black Book for about 3 months. As an athlete and one who strives to attain the best physique possible, I have achieved a much higher level of strength and fitness than ever before since I found Rusty’s site. The mainstream bodybuilding methods simply weren’t bringing me the results I wanted, even though I was working out 5-6 days a week and thought I was eating right (I wasn’t!). Once I switched gears and started following Fitness Black Book’s methods of training and dieting, my body has never looked better! I brought my bodyfat down from a decent 9% to an outstanding 5% in 3 months. Everyone knows those last few pounds are the toughest ones to lose, and that’s where I was struggling. Rusty did a great job helping me overcome that pleateau and taught me how to train smarter. Ever since I found his site, he has given me full access to his personal e-mail for free one-on-one diet and training advice… advice that helped me get to where I am today. In return for his free coaching, I agreed to give a testimonial at some point. Well Rusty… Here is that testimonial! About six months ago I did a search on the internet trying to see if anyone had any valid information out there on how to achieve a physique like Cam Gigandet. At that time, I came across Rusty’s site and first thing I noticed was he had more detailed advice than any other site I had seen telling exactly how to get a lower body fat percentage like Cam. With the advice on Rusty’s site and the personal free coaching he gave me through email, I was able to reach my goals using a unique approach I hadn’t read anywhere else! This Course Isn’t Just for Guys! I actually have a feeling it will be downloaded and used by more women. I have slightly more female readers than male, so obviously I wanted to create a report that would be of huge help to the girls as well. So much stuff is just aimed at guys…but these tips are just as useful for women. My philosophy isn’t about gaining a bunch of mass for men or women, so you know you aren’t going to turn into an Amazon woman following my advice! A Video of Santorini – How Cool Does This Place Look? Can’t Wait to Hear More Testimonials! I have a fun time running this site, mainly because it feels good to assist people in hitting their goals (they do the hard part). My guess is that this little ebook will give a bigger picture on the approach it takes to reach peak condition as well as some specific details. By seeing the “entire picture” vs just 2-3 tips, I think a lot of people are going to get better results that they have in the past. It is important to see how everything fits together and I believe this ebook accomplishes that. Note: Thank god it is Friday! Am I the only one thinking that a beer in a frosty mug sounds good right about now? Maybe a Hoegaarden or Stella…or one of each? damn you!iv just come back from greece an could have done with this a while ago haha! still awesum stuff tho, keep it coming! hi rusty, i’ve been doing ESE for about 2weeks now. i went from 158 pounds to 150. do you think ESE is good for someone like me who already weighs little. my muscle’s haven’t got smaller so thats encouraging but i keep thinking that i might get too small. what do you think? also will my muscle size keep increasing with ESE or does it just maintain it? GREAT Book! I finished it two days ago printed it and put in a binder. Love your blog as well. I may have commented a time or two on some other blogs of yours. I’m a SAHM and it was your blog that is responsible for the great shape I am in now! I’m still pushing for even more (are we ever satisfied?) I am a big warrior follower, however unlike you descibed I never went nuts when it came to the overeating phase (stuck with clean eating and never overindulged) I got fantastic results. 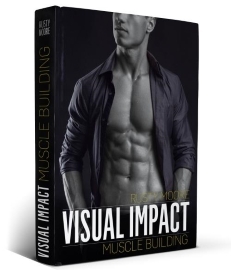 Now I’m in the exact phase you describe in the book with the last 10lbs and a desire to go for a real low body fat% the book could NOT have come at a better time! I’ve been doing strict Warrior for 6 months meaning I don’t eat anything substantial until about 8PM sometimes a protein shake mostly green tea and water. I’d like to switch over to Eat stop Eat, but I wonder if my body will freak out when I do eat during the day save for the two days that I fast. I’m at 125lbs with 20% BF (most trainers guess my BF% is about 13% (thanks to Warrior I don’t look at all like I have BF that high) I tend to have some water retention in the legs (don’t get much sleep with a 2 year old who doesn’t sleep) so perhaps that effects the %? I’d like to be 115lbs with BF% in the low teens possibly single digits I’d settle for 120lbs if the BF% could be drasticly reduced. I do have a question. I’ve been power walking (90min to 2 hrs) as part of my workout because I read it is the best way to reduce your thighs, that doing workouts that require high pumping of the legs only makes the thighs bulk up (which is the LAST thing I need) it is the one area of my body that I really want thinner and tighter (besides the old ABS which thanks to Warrior look good) so things like jogging, bicycling, sprinting, hill sprints would cause bigger thighs. Are you familiar with this school of thought? Thanks for all your hard work there are many of us out here that are very grateful to your blog it changed my life! Vacation blueprint is exactly what I was aiming for and it it is very detailed. I’m 19 and I’m going to give this a shot next week. I have a question though on CH.4 “Strength Training +HIIT”, Is HIIT the third day or the third workout , or is this done 3 times a week right after strength training? First of all, thanks for the ebook and this website, they’re both awesome. I wanted to ask you a question concerning Craig’s and Matt’s chests…Both guys look great, but is there something you can do to get the flat look on the lower pecs on Craig’s chest rather than the hard line on Matt’s? Hope you get what I’m asking, haha. Well this is the first time I post on this site and first of all i love this ebook!, planning on starting This monday for 3-5 weeks. I lost like 17lbs already since january after i bulked (will never bulk again!) and i honestly have been doing hiit with resistance for some time, i recently tried out p90x and such and now editing it for some strength so alot less reps. So after finding out that i ate alot more than i was supposed 2 i know i can loose the weight easily but summer and a vacation is coming up in 6-7 weeks and i want my 6pack already lol. Very clean eating for 5 weeks. Now you speak of leptin and what now and mine shouldnt be low at all as i eat very cleanly and at 2400 for quiet some time. So i really hope i dont hit starvation mode at week 3 since i read one of ur articles and you said its either 24hr fast or 2-3 weeks before your body adapts and slows down metabolism, well im worried about that. Can you assist me with this? am i ok to just work hard for the next 5 weeks on 1600 cals and just go for it? Craig great body. Not too big, but well toned. Well done! matt just wondering what was your exact workout and diet to looking like you do in the pic which is pretty friggen good by the way. i downloaded the vacation body blueprint but it doesnt say what workout you did or what you ate exactly? One of the free reports that’s actually GOOD on the net. Many people use these reports just to get people to buy something else, but this has more information than any other free report I’ve read. Important thing: It works. Thanks Rusty. 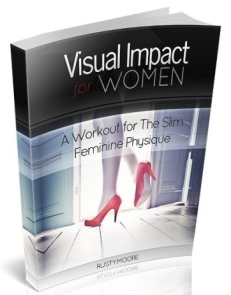 and wound up here “The Vacation Body Blueprint” – My Free 56 Page Report is Ready for Download! – Fitness Black Book. And I do have a few questions for you if it’s allright. comments look like left by brain dead visitors? Previous post: “Getting In Shape for a Vacation” Report Almost Ready!